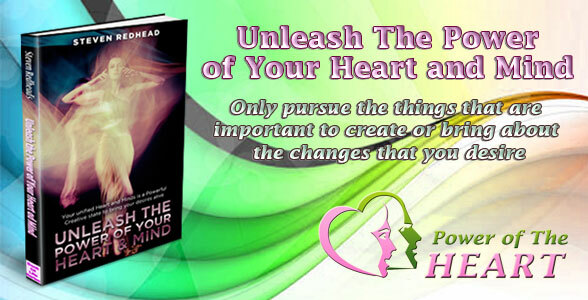 Unleash The Power of Your Heart And Mind is available through online stores, The 'Where To Buy' far right Menu shows outlets; or place an order at your local book Store. 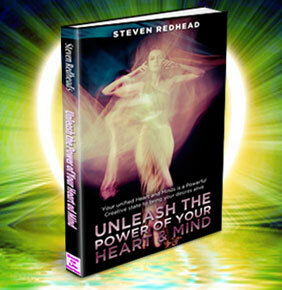 Unleash The Power of the Heart and Mind e-book provides the inspirational direction for how to enliven the heart consciousness in order to access the ‘Powers of The Heart’ then linking that state to the subconscious and conscious mind; which in turn is able to connect to the higher consciousness. The inspiration of the heart linked with the higher consciousness once in prefect sync provides a powerful force to not only drive but create reality in the way you have programmed through logical thought. The heart is natures most untapped immense resource generating more than just intuitive feelings and desires but also the conscious means to bring them into reality. Intuition and desires born from the heart consciousness are given the power to become real with perseverance. It is not as some believe a choice between the intellect of the mind and the intuition of the heart; rather the unification of these two conscious states is the answer. Relying only either on the intellect and logic of the mind is limiting and gains from the support of intuitive insights from the heart’s intelligence. The heart is also the window to the soul or eternal consciousness of self; a communicator between the physical mind and the higher self’s consciousness, that in turn is part of all that is. Utilising the Power of the Heart in conjunction with the Mind is the most significant choice you will make in life. Your desires set your expectations in motion. What counts most is how you put your desires into action. Tune in to the intuitive messages emanating from your heart. They are the essence of who you are and who you wish to become. Only pursue what is important, to creating the desired change. Achieving your hearts desires is the key to living a life of bliss. Open up your heart and mind to the infinite wonderful experiences there are in life. Utilising the power of the heart is the most significant choice you will make in life. Don't be a creation of circumstances, control your destiny. 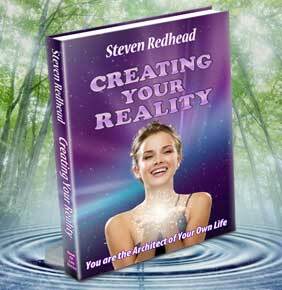 Harness the power within You to create the life you want, achieve your bliss. What counts most in life is how you put your desires into action. Every day is a chance to pursue what you desire. Avoid becoming manipulated by the illusion of who you think you are. Your freedom is found within what you aspire to become. Balance you heart and brain in a state of unified consciousness. Allow the heart consciousness to be more alive. 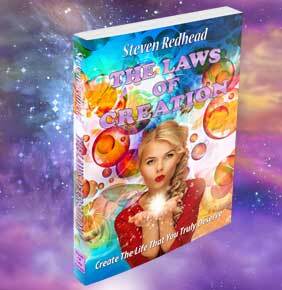 Give the heart intuition the chance to become more involved in actively creating conscious elements that will make your life more marvellous, more wonderful.